Having a healthy bank account, emergency money and money for retirement does not happen overnight. Credit cards, loans, savings and even emergency funds can sabotage your financial security because they allow you to buy more than your income will allow. The first step to living below your means is understanding your income, establish a baseline of income and expenses based on the most recent 3 months of bank statements. Economy of what you have and elimination of what you don’t need will be the basis of the change, be ruthless to have the most impact and the greatest results. Follow up by tracking your future spending and revise regularly. An ideal budget would be 15% less than what you earn. A healthy breakdown for your income is: 50% needs, 30% wants, and 20% savings and debt repayment. 1. Try to live below your means: Instead of buying a new car, look for a low-mileage used one that would typically be 2/3 of the price of a new one. A new car loses 20% of its value once you drive it off the lot. Right size your home, do you need all the space you currently have? The cost of maintaining, furnishing, heating and cooling – is it worth the expense? If you don’t want to move think about renting space in your home via Airbnb or garage space to a neighbor, turn that extra space financial liability into an asset. 2. Never pay full price: Ever hear “A penny saved is a penny earned?” Use coupons. If buying online, use coupon codes. Grocery stores usually post “a special of the week.” Buy those products in quantity. Negotiate big-ticket items. 3. 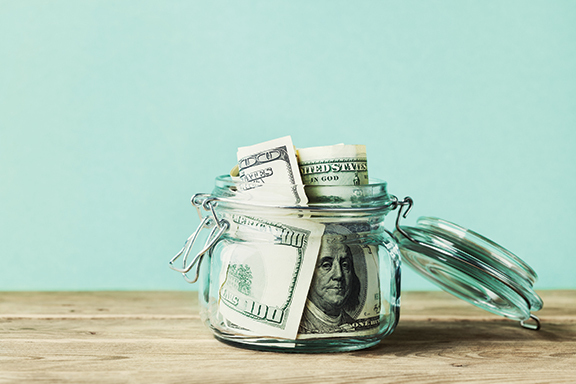 Cut out unnecessary expenses: Small charges add up to big money at the end of the year. Can you eliminate some or all of your bank fees by changing banks? How about credit card fees? Do you really need 80G internet speed when 40G will do? There are so many services meant for convenience that turn into financial vampires including subscriptions, memberships, clubs, and apps. Make sure you are using what you pay for and if not, cut it out of your expenses. 4. Sell some of your current possessions. Take your unwanted clothing to a consignment store or resell online using poshmark.com or thredup.com. Sell locally on Craigslist or Facebook marketplace. Sell nationally on eBay, but be aware of shipping costs and the value of your item. Let friends and family know that you have items for sale. If selling online make sure to take good pictures and price fairly. Winnowing your possessions takes patience and lots of time to research the value and best outlet. You can pay a professional to do it for you if you have a lot of things to divest, but make sure your items value $10k+. Also consider the value of your time and if it is best to donate the item(s) to eliminate maintenance costs. Another option is to take advantage of the share economy if you have tools or other items of value that you don’t use on a regular basis. 5. Leave your credit cards at home. Unless you are on a mission to buy something that is totally necessary, you won’t be tempted to buy an item that you don’t “need.” Use a debit card instead because it is like “cash” and will make you think twice before purchasing. If you want the points and can’t imagine not using a credit card, the rule of thumb is to not spend above 30% of the available credit, and pay off the balance monthly, this ensures you don’t overextend yourself. 6. Don’t buy lottery tickets. You may think that this is your chance to get rich quickly, but your chances of winning are slim to none (1 in 13,983,816 to win the jackpot). It all adds up, spending $10 a week is $520 that could have gone into your savings account. Save for the future instead, imagine where you would like to be in 5 or 10 years and make a plan. 7. Think about going Green. Can you carpool or use a carshare program to save money on gas and wear and tear on your car? Turn down your heat when not at home. Turn off the lights, buy groceries in bulk and grow your own food. All these will not only be good for the environment, they will be good for your finances. If you are really intent on increasing your wealth, experts advise that you get a side job to bring in additional income. A side hustle may be only 10 hours a week – but again, it all adds up. There are so many options because of the “gig economy.” Your skills and hobbies can create an income increase with little effort. The average active gig worker makes $500-$1000 a month with their side hustle, think about what this could do for your savings or debt repayment. Another option for dual income households is to live off of one wage earner’s income. You can use the other income for maxing out retirement savings, investing, and paying off debts. This may also be useful if there is a job change or layoff or one person wants to stay home or needs to help care for elderly parents. The biggest advantage to living below your means is to have less financial stress which improves your personal and family health and it is incredibly satisfying to not be a slave to your financial situation and know that you have options if you need to make a life or job change.